The question that has long puzzled historians is: what did people do in the evenings before Twitter, Facebook and My Kitchen Rules? Now the crack team of researchers at Dodgy Perth has uncovered the truth: our forefathers entertained themselves by going out for the night and looking at advertising signs. Seriously. City and Suburban Billposting Co were sign writers, originally based in King Street, but who relocated to a brand new Art Deco building in Hay Street in July 1928 (pictured above). The following year, the company acquired the rights to manufacture a brand new invention: neon lighting. This, as any aficionado of film noir knows, was to radically change the commercial streetscape forever. A subsidiary was formed—Rainbow-Neon Light Co—to manufacture and sell the novel product. 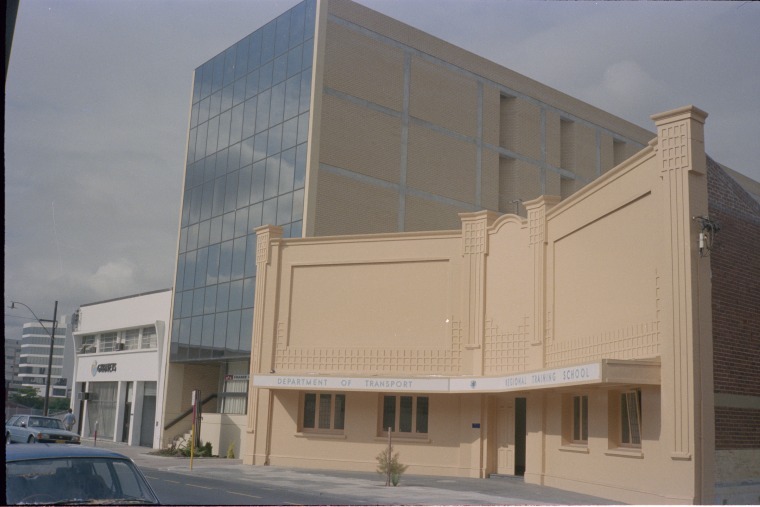 Their headquarters, 383 Hay Street, was consequently the first ever building in Perth to have neon lighting installed on it. The words Scanlan’s Rainbow Signs were written in green, blue, red, yellow and white. And the brightly coloured sign drew a large crowd to the spot to see this novelty. It was advertised (yes, the advert was advertised!) as being available for view between 8pm and 10pm each night. Not only did the crowds flock in response, but the press raved about this new way of advertising, claiming that Perth was now the rival of Broadway in terms of modernity. Perth firms rushed to install the new lights, because no one wanted to seem old fashioned with simply painted signs. If your hotel, say, had Rainbow-Neon lights outside, you were proclaiming exactly how up-to-date you were. The magnificent Art Deco building above is currently for sale, and the irrepressible Dallas Robertson (aka Museum of Perth) is fighting to ensure the façade is saved for future generations to know where their ancestors once spent the evening staring at advertising signage. Because they were bored. Or something. Check out the Museum of Perth Facebook page and lend your support to the campaign before it’s too late.